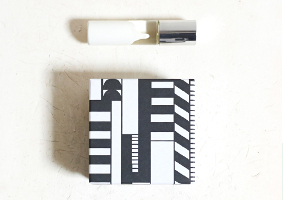 Indie line MCMC Fragrances has launched MCMC x Mociun, a new limited edition fragrance developed in collaboration with Brooklyn jeweler Caitlin Mociun. ...as it turns out, for years everyone has commented on [Mociun's] scent. Sadly, her scent was a hippie musk that was no longer in production. Caitlin had bought one last big bottle of the stuff and was preciously and slowly using it (though she admits she kind of bathed in it). It was time to make her a new fragrance. Inspired by her recent trip to the southern Italian island of Sicily, we drew inspiration from the bright and bitter scent of Italian neroli flowers coupled with an essential oil of the stems of the same tree, called petitgrain. We added a warm, rich, and long-lasting amber and clean white musk to finish it off. MCMC Fragrances x Mociun is available in 9 ml Perfume Oil, $55.